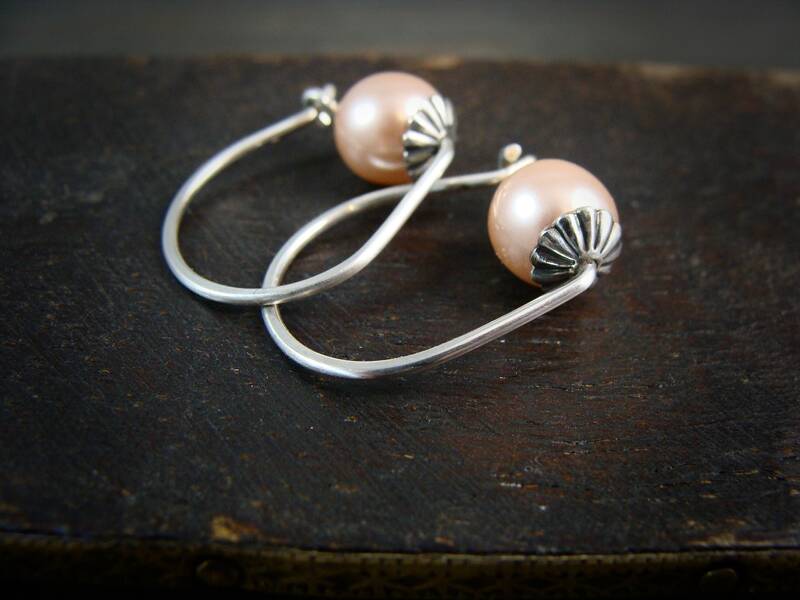 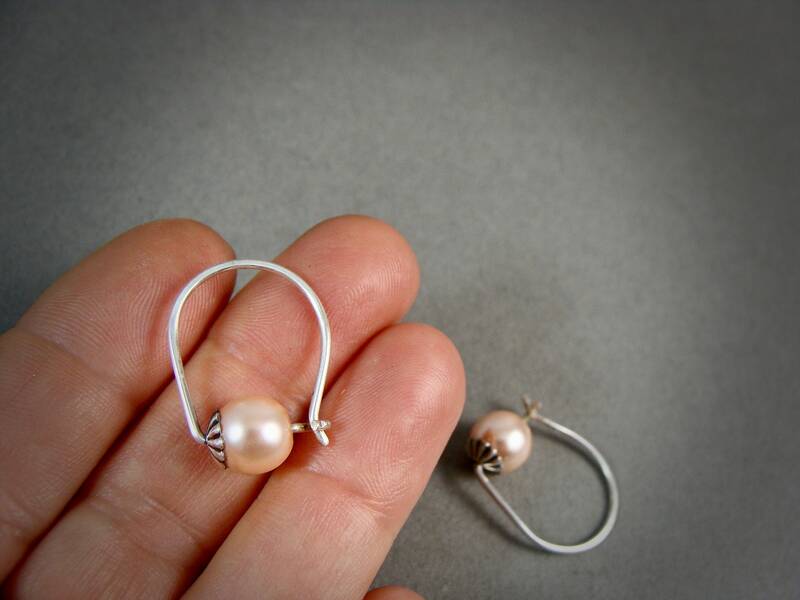 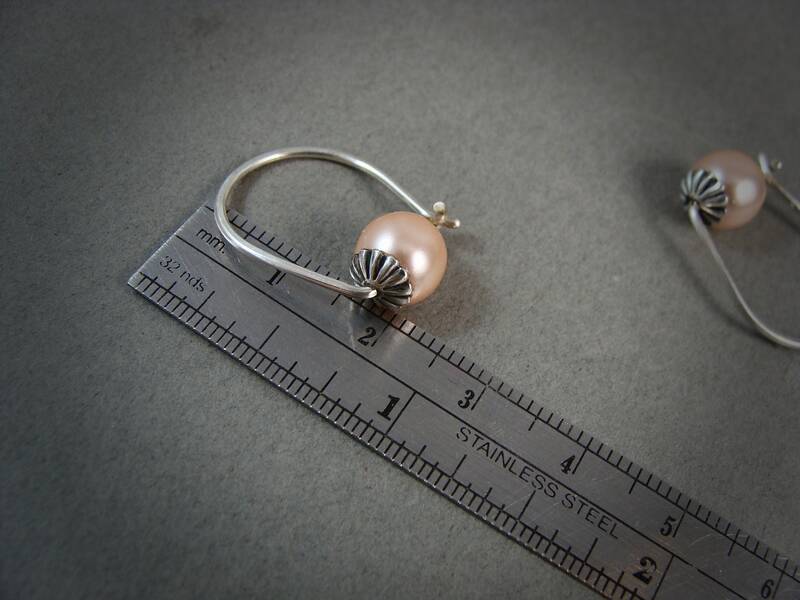 These pink Swarovski crystal pearl have been merged with a tiny flower like sterling cap. 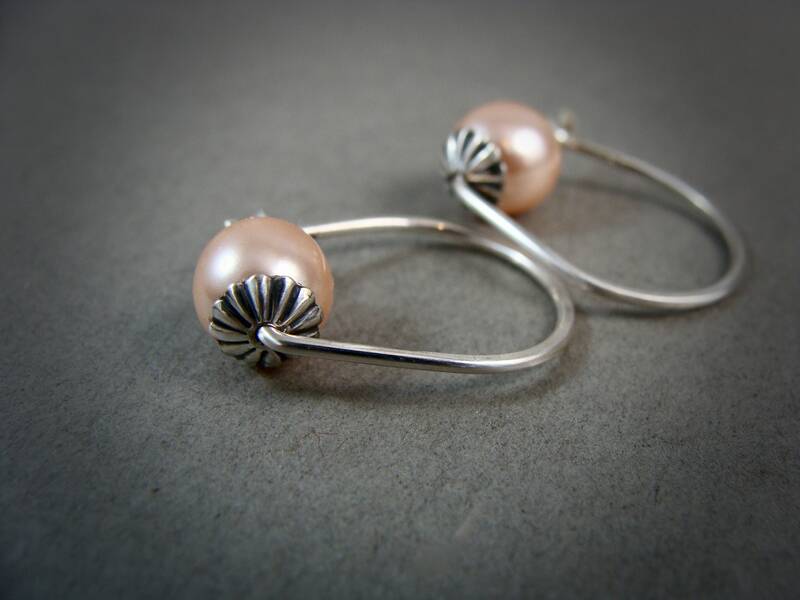 The sterling hoops have been given a dark patina to add that time worn look. 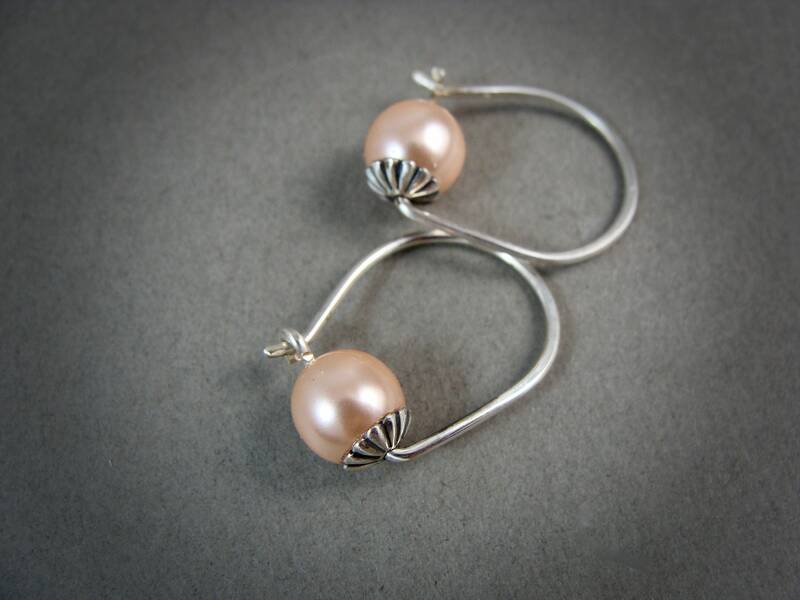 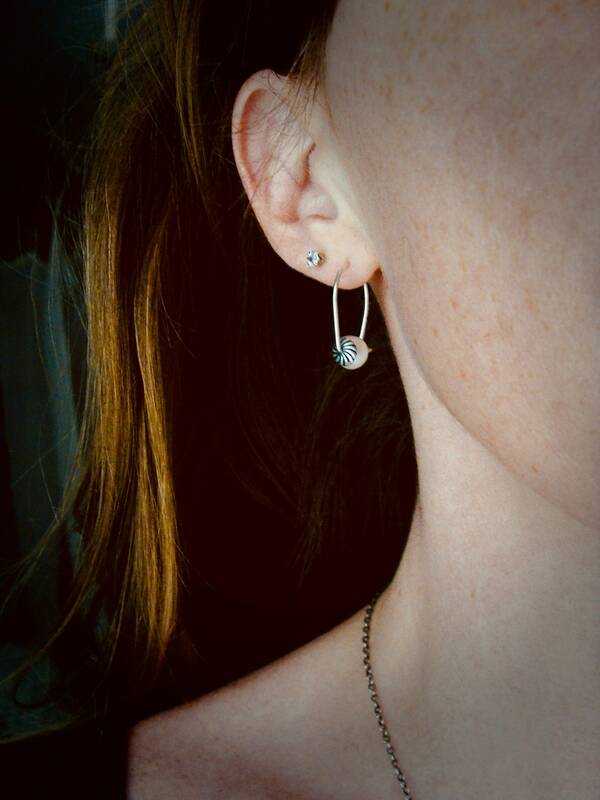 These simple, elegant earrings are great for everyday.